Prime Minister Lawrence Gonzi today toured restoration works on a section of the Mdina bastions near Vilhena Palace. He said the government had given importance to the national heritage, as evidenced by the range of restoration projects carried out in the past few years, and the process would be continued with a programme to restore the bastions. He said that several ancient chapels and other historic buildings were restored over the past five years and Mdina itself enjoyed extensive rehabilitation. Infrastructure Minister Ninu Zammit, who accompanied the Prime Minister, said Malta has 25km of bastions around Cottonera, Valletta, Floriana, Mdina and Victoria. 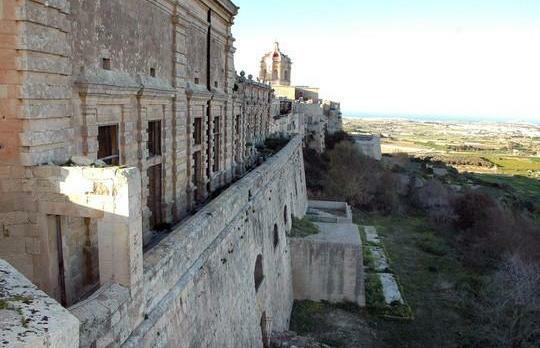 The restoration of the bastions will be spread over seven years and cost several million euro. The project will be partly funded by the EU.